Well, here is one of those secret projects. I have been writing a new pattern!!! I call it Salutations and I am so very excited about it!!! Salutations is a Twin Size quilt measuring 72 x 84. It has such a whimsical feeling to it, don't you think :) The fabric is Riley Blake's Apple of My Eye and it was so much fun to work with!! The prints are so adorable!! Here it is out in the beautiful sunshine!! I just love these windmills. The pattern teaches you how to make them without using a paper template. Bonus!! What a fun, happy quilt! 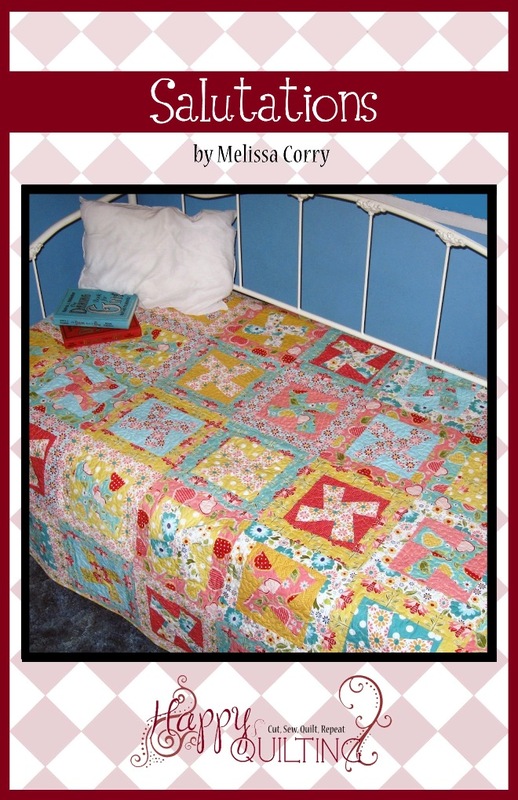 Congrats on your new pattern, Melissa! Beautiful quilt Melissa!! Congrats on a new wonderful pattern! Yea! It looks great, so bright and cheery! Conincidentally, I'm waiting on a couple of prints from this line to make a project for Julie's newsletter right now! Congratulations on the beautiful new pattern! Congratulations! 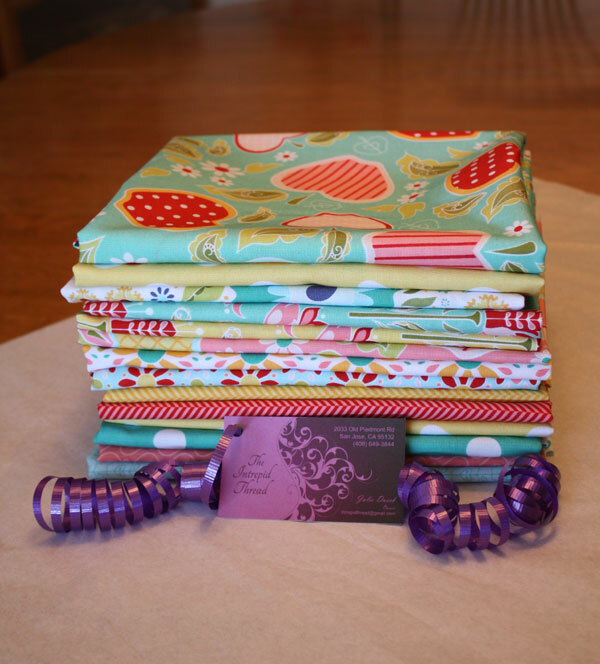 Apple of my Eye is an adorable line of fabric, and you really hit a home run with that design! Love it! Yes ! I am definitely in love with Apple of my Eye and Salutations. Such a beautiful combination, meant for each other. great work and congratulations friend! Freaking Adorable. I absolutely love it, and I know Heather will as well. Congratulations to you!! Looks so adorable!! I love your quilt pattern. Congrats. That's a really sweet quilt. It turned out just perfect. Love the quilting on this one. Congratulations! The quilt design is gorgeous. Very cute! Lovely pattern to go with those fabrics, it does look very playful. Nice job! Gorgeous quilt. It has a very happy look to it. Great pattern. I especially love the flower and loop design. 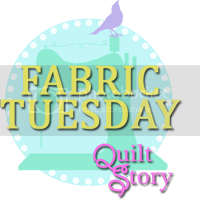 100 Blocks Blog Hop & Giveaway!!! TNT Thursday - My Big New Thing!!! TNT - The Video Edition!!! The First is a Flame!!! Sewing Summit - Are you Going?? ?